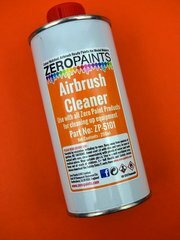 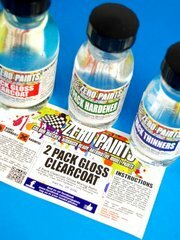 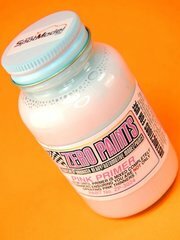 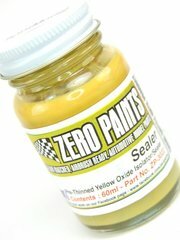 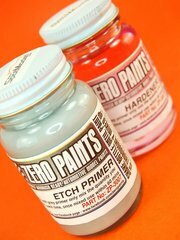 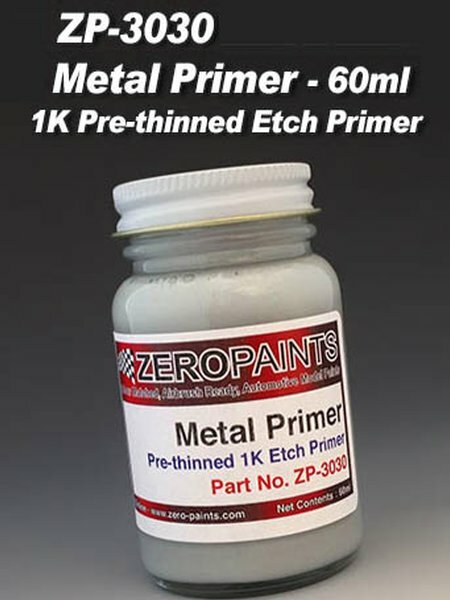 Zero Paints delights us with this one component primer (no catalyst needed), specifically designed for metallic surfaces. 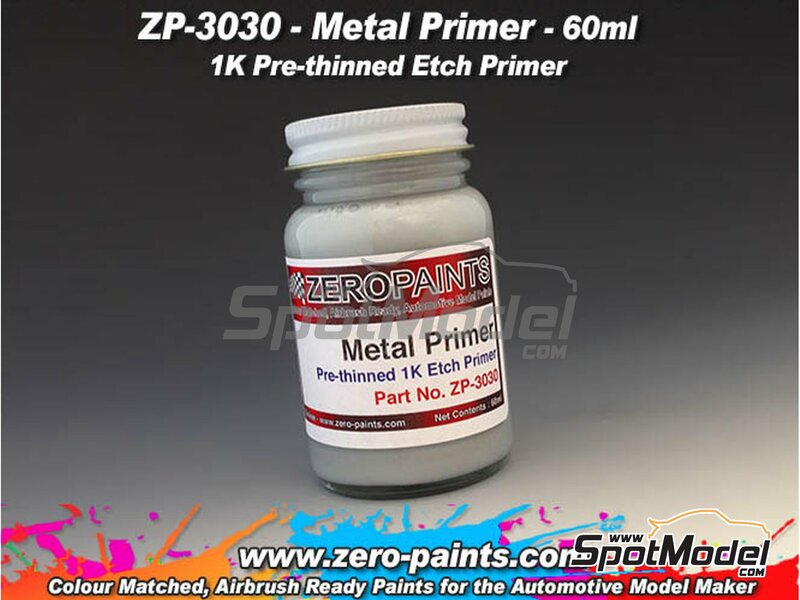 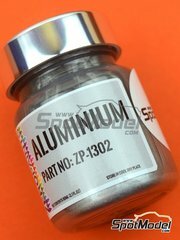 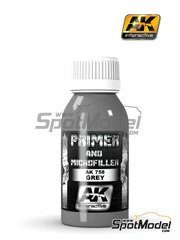 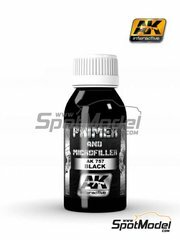 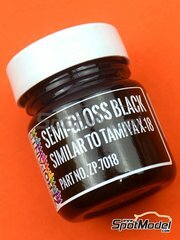 The product comes already pre-thinned for airbrush use in 60ml bottles, and features an excellent adhesion on iron, white metal, steel, aluminium and other metals. 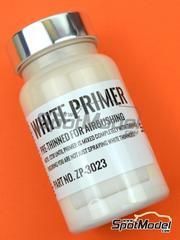 Once applied, observe a drying time of 60 minutes before handling. 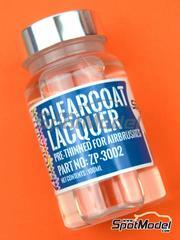 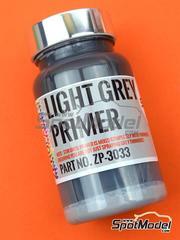 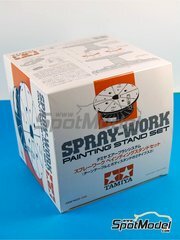 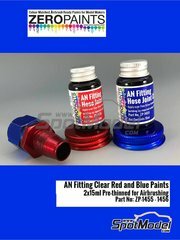 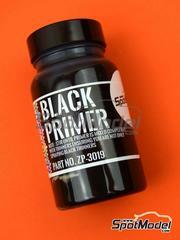 Clean your airbrush as soon as possible after use, since it may get damaged if the primer dries inside. 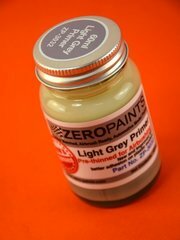 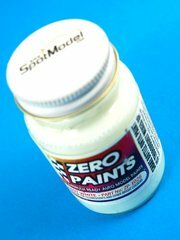 Manufactured by Zero Paints with reference ZP-3030. 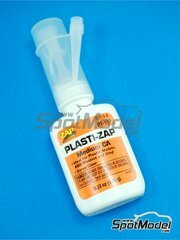 Other 22 customers have it in their cart.